Are there computers in the classroom? Does it matter? Students, Computers and Learning: Making the Connection examines how students’ access to and use of information and communication technology (ICT) devices has evolved in recent years, and explores how education systems and schools are integrating ICT into students’ learning experiences. Based on results from PISA 2012, the report discusses differences in access to and use of ICT – what are collectively known as the “digital divide” – that are related to students’ socio-economic status, gender, geographic location, and the school a child attends. The report highlights the importance of bolstering students’ ability to navigate through digital texts. It also examines the relationship among computer access in schools, computer use in classrooms, and performance in the PISA assessment. As the report makes clear, all students first need to be equipped with basic literacy and numeracy skills so that they can participate fully in the hyper-connected, digitised societies of the 21st century. 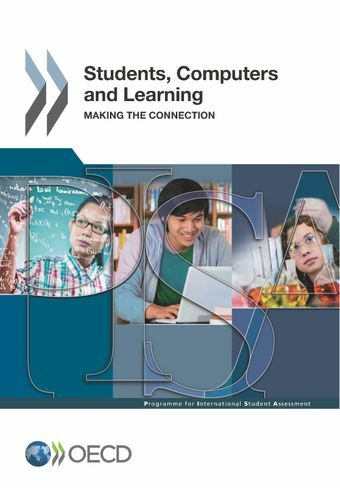 The archived webinar with Andreas Schleicher Director of the Directorate for Education and Skills at the OECD and Francesco Avvisati, OECD Education Analyst, discussing the findings from Students, Computers and Learning: Making the Connection, is available here. Students, computers and learning: Where’s the connection? PISA in Focus No. 55 - Who are the best online readers? PISA à la loupe n°55: Qui sont les meilleurs lecteurs en ligne ? For more information on PISA, click here.